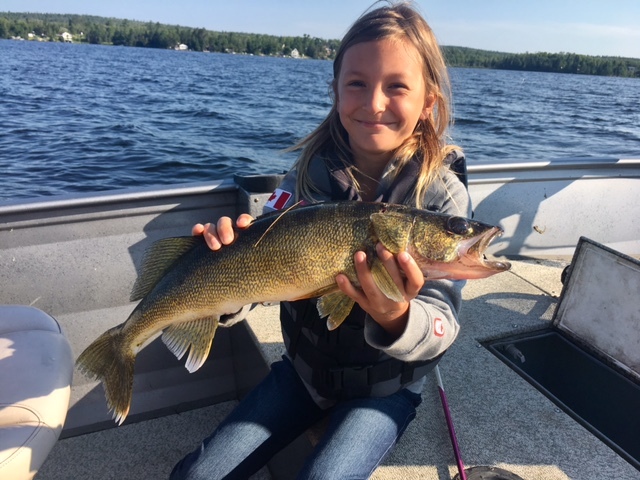 Elise with her 23" Walleye (which she released to produce more hatchlings and fun)!! Rowan can catch fish anywhere AND he can out-fish his Dad (quite OFTEN)... Oops, didn't mean to add the last part!! Wade does very well... He loved the vibrant colours (yes, that's the correct CDN spelling) of this walleye!